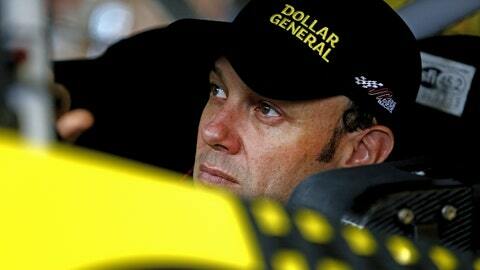 Matt Kenseth fell just shy in 2013 of winning his second career Sprint Cup Series championship. The 2013 NASCAR Sprint Cup Series championship is about the only thing Matt Kenseth didn’t win this past season. In his first season with Joe Gibbs Racing, the 41-year-old Wisconsin native posted sensational numbers, winning seven races, tops in the Sprint Cup Series and the most he’s ever won in a single season. Kenseth also led a career-high 1,783 laps, representing 16.9 percent of the laps run over 36 races. He also brought a sense of stability and leadership to the JGR team, in that sense a huge upgrade from the driver he replaced, Joey Logano. And Kenseth improved tremendously at tracks like New Hampshire and Martinsville, where traditionally he had struggled. In short, Kenseth did everything he was expected to do and then some, falling just 19 points short of Jimmie Johnson, who won his sixth series title in eight years. And while Kenseth absolutely would have loved to have won a second title to go with the one he captured he 2003, he had no regrets at all about a great season. "We ran better and won more races than I think anybody could have expected, and really, we were in a position to win several more races," said Kenseth. "So, yeah, when you’re running that good and lead the Chase for the first five or six weeks and you don’t win a championship, yeah, you’re a little disappointed. I mean, you can’t help not to be." For Kenseth, putting his season into context made the pain of finishing second a little easier to swallow. Matt Kenseth (20) made a habit of winning races in 2013. "Expectations are kind of a moving target," he said. "If the first two weeks of the Chase would have been a 20th and a 23rd instead of having them toward the end of the Chase, and I came back and finished second, you’d maybe feel different about it. But overall it was a great year. I’m really happy with it. We’ve got a lot to build off of." So does JGR as a team, with Kyle Busch finishing a career-high fourth in points and Denny Hamlin winning the season finale at Homestead-Miami Speedway. "All three cars got to Victory Lane this year, which is great," Kenseth said. "I think that was Kyle’s highest finish in points, which was really good. I thought it was a really good year for the company and a really good year for me." And without question, Kenseth was a near-perfect fit as a teammate to the younger Busch and Hamlin. I call (Kenseth) our old-man driver. He’s had so much experience. He’s won a championship. He knows what it’s like to lose a championship. I think it’s been real helpful. "I call him our old-man driver," team president J.D. Gibbs said of Kenseth. "He’s had so much experience. He’s won a championship. He knows what it’s like to lose a championship. I think it’s been real helpful. He’s been able to help Kyle and Denny. We really like Matt, think he’s a great fit for Joe Gibbs Racing." Jason Ratcliff, Kenseth’s crew chief, agreed. "What Matt brings into Joe Gibbs Racing is a champion’s perspective, and I think those are things that obviously Denny and Kyle have looked at and have taken from Matt," said Ratcliff. Kenseth admitted having teammates the caliber of Busch and Hamlin gave him some pause prior to joining JGR. "Denny is really, really good, and Kyle is really, really good," said Kenseth. "And that was one of the things that I was — not scared of, but you’ve got it in the back of your head that you’re a little nervous about coming in here and running 10 spots behind those two every week, you know? They’re that good." Fortunately for Kenseth, that wasn’t a problem at all. And he’s already looking ahead to 2014. "It’ll be good to have everybody back at full song, and hopefully we can get all three cars in the Chase next year and one of us can be at the head table," Kenseth said.